Temporomandibular disorders (TMD) constitute a myriad of problems related to the temporomandibular joint (TMJ) and the surrounding muscles of the jaw. The TMJ connects your lower jaw to your skull, and allows your lower jaw to open and close to facilitate chewing and speaking. pain with movement or chewing. It takes time and a multi-pronged strategy to treat TMJ disorders. However, Oral and Maxillofacial Surgeons have a range of treatment options available to help you achieve healthier and more comfortable jaw movement. There are many contributing factors to the development of TMJ disorders. People who grind or clench their teeth may not only damage their teeth, but fatigue and overwork the muscles of the jaw and put stress on the sensitive joint. Patients may also have a damaged jaw joint due to trauma, degenerative arthritis, or rheumatologic problems. Whatever the causes, our doctors will devise a plan to alleviate the pain and discomfort. Botox can be used not only for cosmetic purposes, but also for TMJ issues. Botox works by partially weakening and calming those overworked jaw muscles to provide much-needed relief. 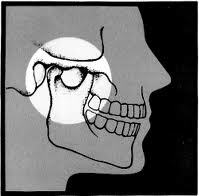 Is it one of the many strategies we use to treat TMJ disorders. Our doctors are certified to perform Botox and Juvederm treatments, whether for cosmetic purposes or for medical treatment. Patients should schedule a consultation to discuss their specific symptoms and medical history. At that time, we will review the problem, examine your mouth and discuss a treatment plan that best meets your needs. The temporomandibular joint (TMJ) connects your lower jaw to your skull.